Manhattan’s Chinatown is home to the largest enclave of Chinese people in the West and the oldest Chinatown in New York City. 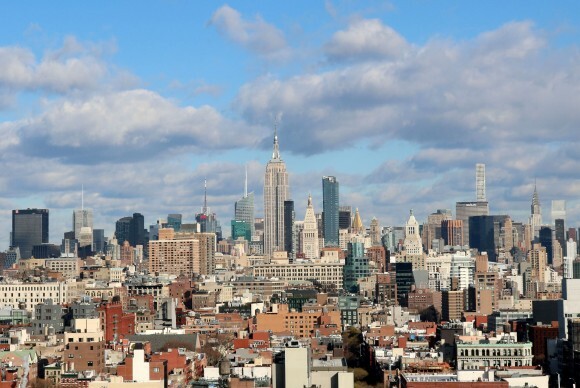 Although rich in history and culture, it has been overshadowed by some of New York’s more vibrant and flashy nearby neighbourhoods such as Tribeca, Soho, the West Village, and Chelsea. However, Chinatown has managed to retain its own special charm. I recently spent a weekend in Manhattan’s Chinatown (New York City has nine Chinatown neighbourhoods in all) for the opening of Hotel 50 Bowery. 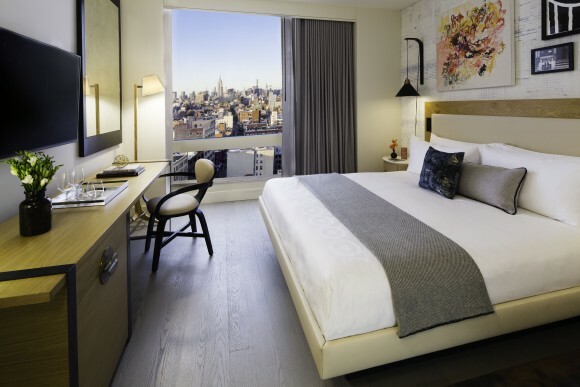 Located in the heart of the neighbourhood on the oldest thoroughfare on Manhattan Island, this new boutique hotel will no doubt give Chinatown a boost. The 229-room hotel is the first Joie de Vivre property in New York. 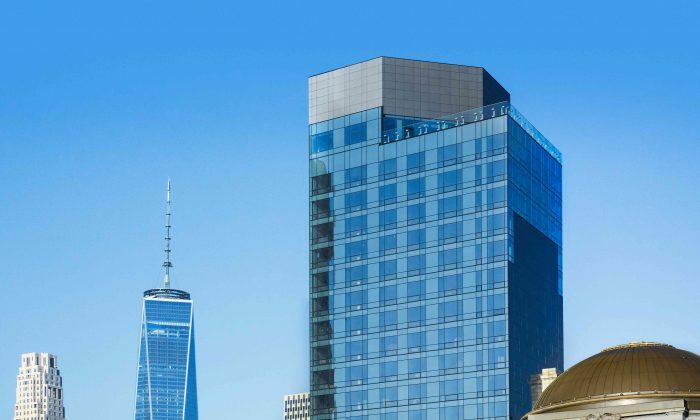 Under the brand of Two Roads Hospitality, the 21-story building is the brainchild of two families with deep roots in the Asian community: the Harilela family of Hong Kong and the Chu family of New York. The owners endeavoured to highlight the neighbourhood’s culture and history, and as such have created an immersive hotel experience reflective of Chinatown’s evolution by tastefully connecting new and old. 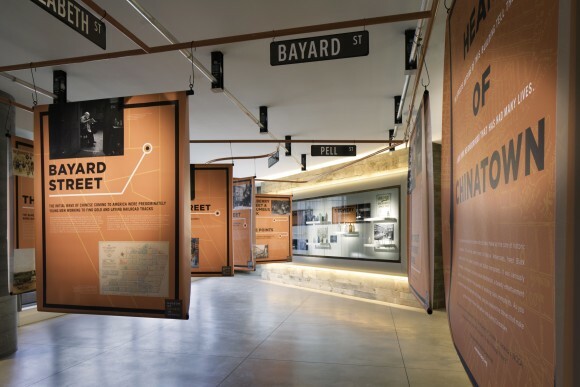 In concert with the Museum of Chinese in America, Hotel 50 went the extra mile in providing for a permanent exhibition on the second floor. 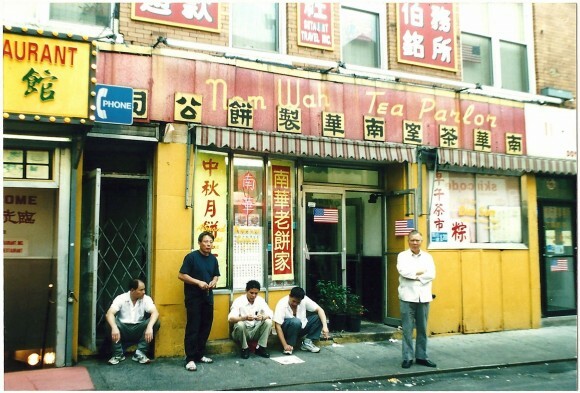 Titled Heart of Chinatown, it showcases the origins of Chinatown and the various contributions made, and explores the history of such core streets as Bayard, Bowery, Canal, Doyers, Elizabeth, Mott, and Pell. The rooftop on the 21st floor offers a fantastic panoramic view of downtown and midtown. Chinese artwork dots the interior of the building to provide a continuous link to the overall theme, while the hallways feature subdued lighting reminiscent of Chinese villages. The rooftop on the 21st floor offers a fantastic panoramic view of downtown and midtown. At an intersection near the hotel there’s a display of artwork from local artists and one-of-a-kind pieces commissioned from a street artist in Beijing. Other little design elements give a subtle nod to the history of the neighbourhood. On a walking tour of the neighbourhood I noticed that, like just about any other Chinatown in the West, fresh fruits and vegetables are sold on almost every street corner. The streets are lined with an array of shops and restaurants. Street vendors are everywhere, selling everything from exotic fruits to “brand-name” handbags and clothing. I was intrigued by the gritty, worn faces of the older folk. Who knows why they came here and what their story is. 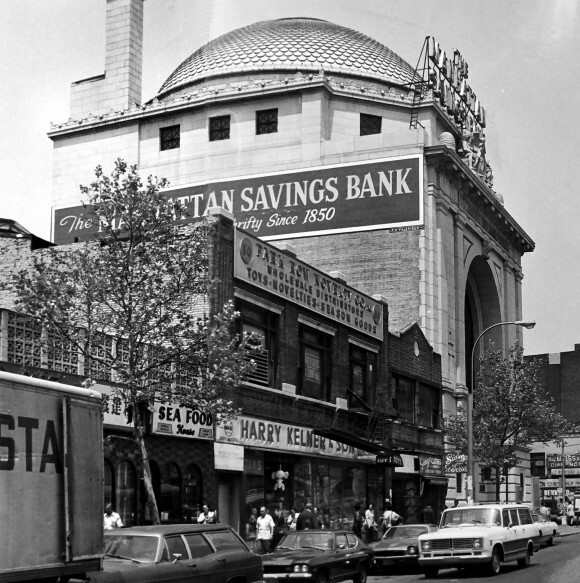 Chinatown, along with nearby Little Italy, was listed as a historic district on the National Register of Historical Places in 2010. One can only hope the arrival of Hotel 50 doesn’t escalate the gentrification of the area. There are several interesting places to visit, including the Kimlau Memorial Arch, Columbus Park, Nom Wah Tea Parlor, and Edward Mooney House. 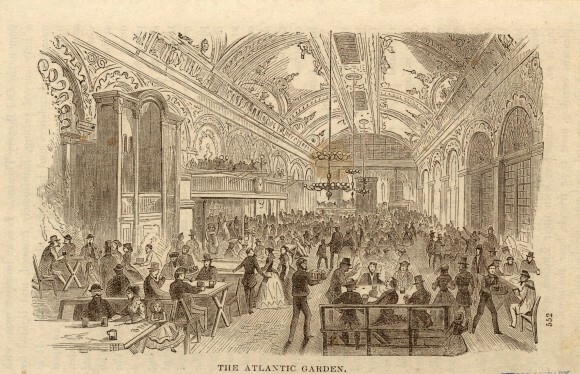 The latter was built by a wealthy butcher in the late 1800s and designated a New York City landmark in 1966. There’s the Church of the Transfiguration, also known as the Little Church Around the Corner; the Mahayana Buddhist Temple, the oldest Chinese Buddhist temple on the east coast; and Shearith Israel Cemetery near Chatham Square. Chatham Square is a major intersection, being at the confluence of eight streets, with a small park in the centre. 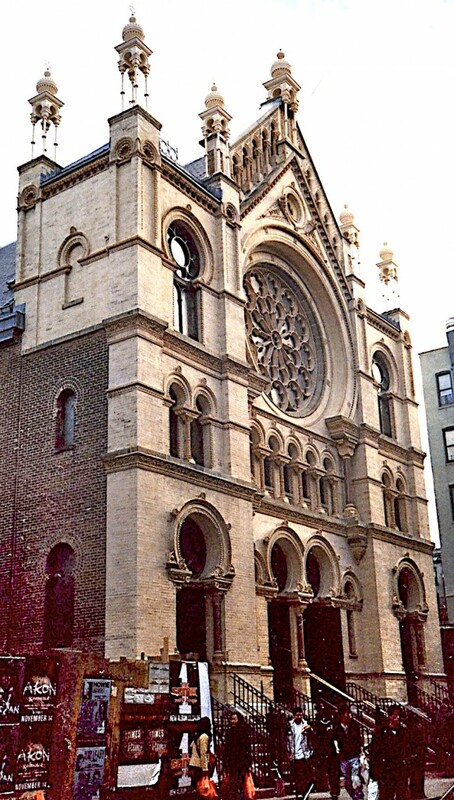 A must-visit is the Museum at Eldridge Street, a national historic landmark featuring a restored synagogue offering events and tours in 10 languages. For places to eat, Wo Hop, a 24 hour Chinese staple on Mott Street that has the best sweet-and-sours and cold sesame noodles, is great for take-out. If you prefer upscale Chinese dining, I recommend Oriental Garden on Elizabeth Street for their excellent Cantonese food, specializing in seafood. Expect impeccable service and food quality. Keep in mind that Rice and Gold, Hotel 50’s 220-seat onsite restaurant, opens at the end of June. The hotel’s cellar-level lounge, the Green Lady, debuts later this summer and will feature an Asian-inspired decor and speakeasy-style live music. With 2017 designated the Year of the Rooster it appears Chinatown has plenty to crow about, with lots of attractions for visitors to savour. New Jersey-based M. James Ward’s strong sense of wanderlust has lured him to all corners of the world. He has written about his travels for a range of publications.